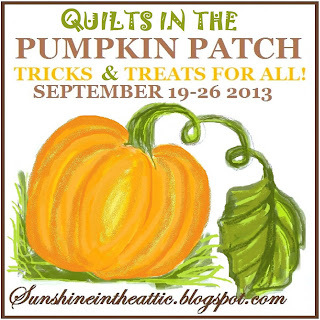 Sunshine in the Attic: QUILTS IN THE PUMPKIN PATCH DAY FOUR! QUILTS IN THE PUMPKIN PATCH DAY FOUR! Hello and welcome to day FOUR of the PATCH Blog Hop! Today marks the first day of autumn and I am so glad that you’re here and ready for more Fall Fun! Today I get to introduce you to Celine, a blogging friend who really is in England! She is a fabricaholic and a sewing/quilting addict, among other things. I think we can all relate to that! I met Celine when I came across her Granny Bee block tutorial which is excellent, so check that out too. For the Hop, Celine has designed a "Plus" quilt herself and put it all together in a whirlwind of activity in a very short amount of time using some lovely fabrics she's had on hand, just waiting for the right project! So go visit Celine! Her Autumn Plus Quilt is absolutely gorgeous and the colors, the pattern, and the parallel lines of quilting are so chic! I do have another giveaway! Today's drawing is for three fat eighths of the very cute premium fabric by Dear Stella called Town and Country. See the little houses for the town and the field of trees for the country? And every tree has a tiny little bird. I love the colors and the prints are so darling! I recently learned to do paper piecing- and boy, it has opened up a whole new world for me! I love Dear Stella fabrics! Thanks for the wonderful giveaway. I've learned to love 'redwork' projects recently. I'm now stitching some snowmen in blue for a table runner. 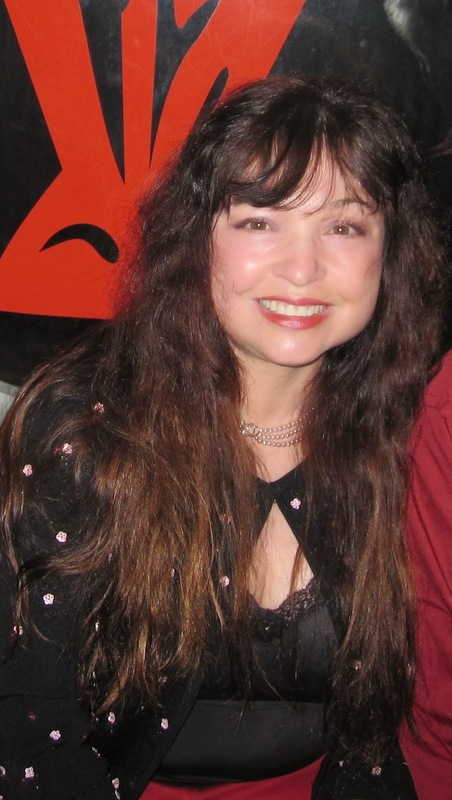 Good morning, Sheri. Celine's quilt is beautiful and I can't believe she did it so fast. She did a great job. I don't know if this is interesting, but I have gotten into the hexie thing and it is very addictive. I have almost enough flowers to make a quilt. But my dream is to make a Grandmother's Flower Garden quilt like the antigue ones. I have been collecting 1930 fabrics to make it with. Thank you for another great giveaway. I am really enjoying this Blog Hop. I'm enjoying this blog hop and the new blogs I'm visiting. I also tried paper piecing for the first time recently and, although I did quite a bit of seam ripping, I am going to try other projects using that method. I'm glad I finally tried the process. What a beautiful quilt from Celine! Your giveaway fabric is totally cute! I would like to make a project with hexies .... only have made a few of them before. I've learned I need to try some of new technique for needle turn applique. This is a cute quilt that doesn't need a pattern. I learned a new way of doing applique on the SewMuchLikeMom blog. I recently came upon your blog and learned that I love it! I am following it by e-mail. I love that fabric so cute! The fabric is just lovely. I think one of the best things about blog hops is getting to meet some new blogs, thanks for organising this. After nearly 2 years of sewing small projects I have just learned to make my first quilt. It is not as scarey as I thought it would be! Lovely Autumn Plus Quilt. I will have to try this block. The fabric giveaway is so sweet too! Thanks for the opportunity to win! Love Celine's quilt. What a great way to use up some stash. Love your fabric giveaway too. thanks so much for such a great introduction. I am humbled... 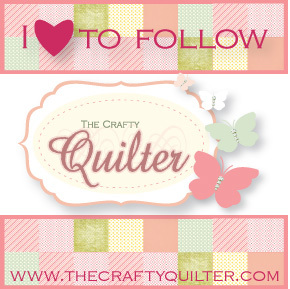 I am very happy to be part of such a great blog hop. And the fabric you are giving away is gorgeous. Quilts in the Pumpkin Patch-- Day One! Hooked on Christmas in July! Hawaiian Skinny Pinny and Coin Purse Tutorial -- ALOHA!! !